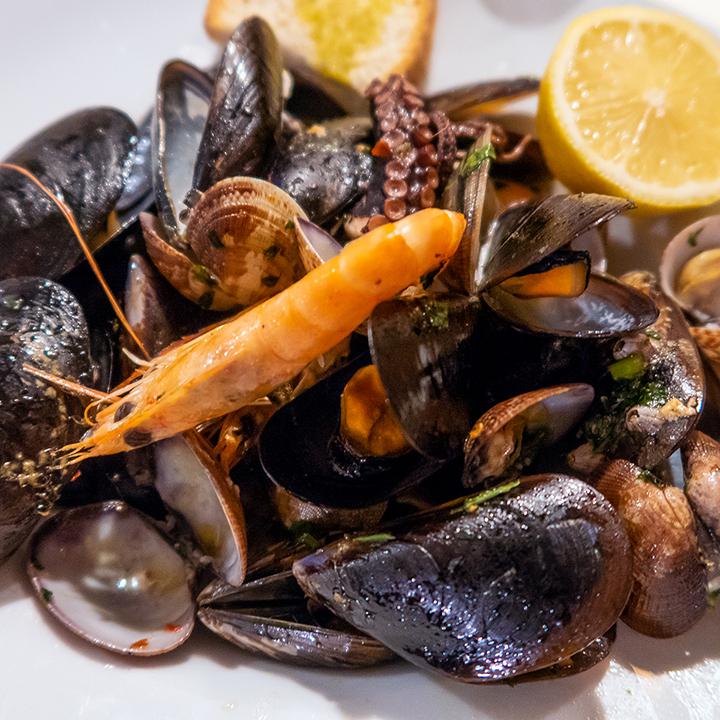 As we entered the second half of the week in Tuscany, we really wanted to see a great food market, and get to the coast where the seafood would be fresh and abundant. That meant a trip to nearby Livorno. 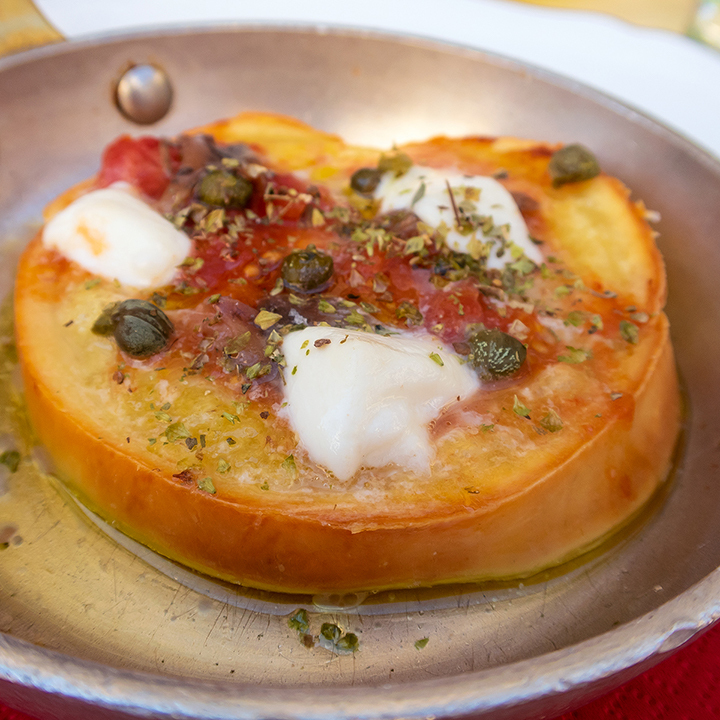 Search Google for great food markets in Tuscany, and the daily market in Livorno comes up. The reality delivers on the promise - a huge indoor space teeming with fresh fish and meat counters, purveyors of the new season’s olive oil, and just about everything else you could possibly need. We wandered around in the manner of food tourists - drawn to the fish we couldn’t recognise, marvelling at the matter-of-fact way that whole animals were presented on the meat counters. And then, because we have no kitchen to hand anyway, buying only things that can be taken back in a case - a nice aged balsamic vinegar, for instance. 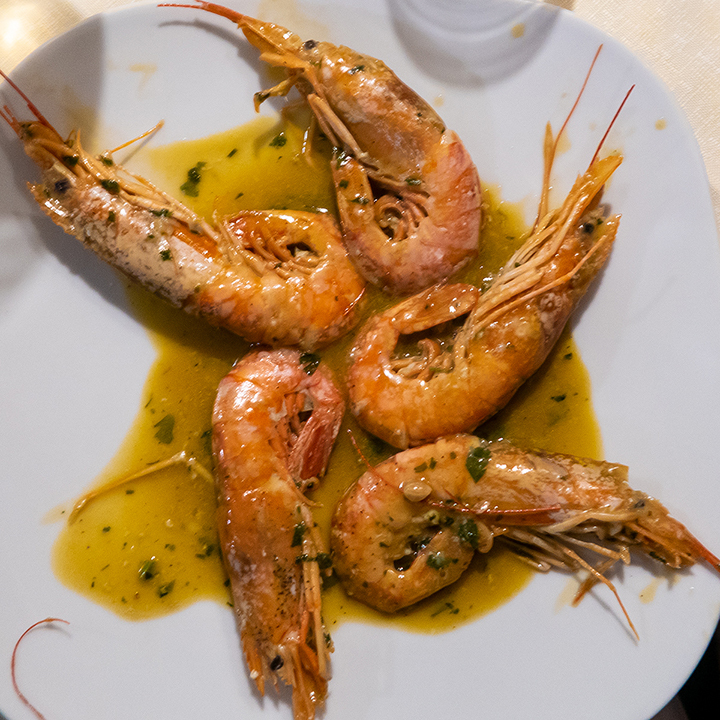 For immediate consumption, we sought out one of Livorno’s best-known seafood restaurants - the Trattoria Da Galileo. It was empty when we first arrived just after mid-day, and we weren’t quite sure if it was open. But as soon as the owner saw us we were greeted, ushered in, entertained and charmed in equal measure. It is a restaurant defined by big personality - both that of the owner whose constant patter brought it so vividly to life, and also with all the photos of celebrities that had visited the place over the many decades it has been open. We spent most of lunchtime pondering the identity of the woman in the nearest photo who looked vaguely familiar. It turned out to be Claudia Schiffer. The owner ran through the menu for us quickly translating from the Italian - there wasn’t an English version as there sometimes is. He did it perfectly well, but within a minute of being left to think about it, I’d completely forgotten just about every damn thing he said. So we just decided to embrace the adventure, and just point at things and see what turned up. In this way, I ended up with a fabulous seafood medley with some beautiful large mussels, clams, prawns and some octopus. My companion ended up with a starter of octopus. It was all, as you would expect, perfectly cooked and tasty. For a main course, we both had the same dish, which turned out to be some enormous king prawns cooked with a fantastically rich shellfish sauce. The meal was a delight. We then broke the owner’s heart by suggesting we might leave without dessert - he literally begged us to at least share a tiramisu between us. We’re suckers obviously, because we relented and had to “endure” probably the best tiramisu I’ve ever had. The joy of going to a well-run restaurant where they care so passionately about the quality of the food, and the local in-season provenance of it, is that you naturally get the more sustainable choices. In the Mediterranean, salmon and red tuna are likely to be unsustainably sourced, often fished illegally, along with other fish like hake, swordfish and skate. When it comes to seafood, what is and is not good to eat is so highly context-specific to the local environment, it can be something of a challenge. But not this time. 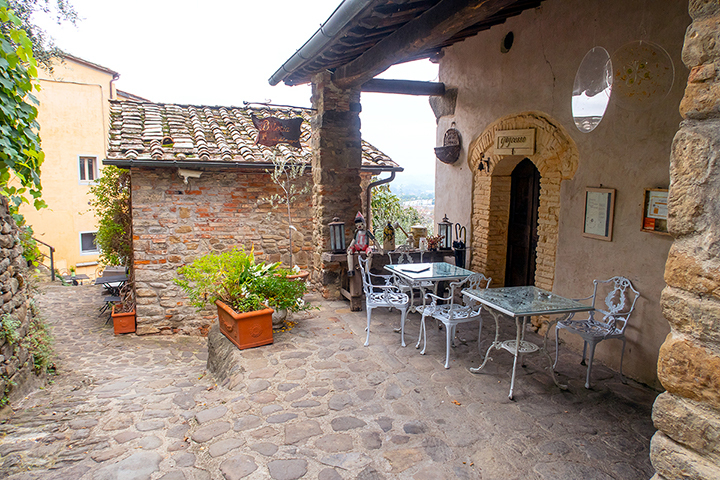 Speaking of passion for food and local provenance, our most favoured part of the entire week was our stay at Il Canto Del Maggio just outside Penna. Simona is the owner and could not be more welcoming. For years she ran the highly acclaimed restaurant and piled up the accolades. Lately, she wanted to ease the pace so opened up apartments for people to stay at and simply catered for residents with the restaurant. The location is stunning. On a vigorous slope, so the landscape views from different places are gorgeous. The swimming pool is almost surreal, with one end apparently suspended in the sky. There is a sizeable vegetable garden, and around the property there are vines bursting with ripe fruit, fig and olive trees - just a bountiful harvest that finds its way into the food you get served in the evening. And the food was a highlight. A selection of salad, figs, and locally-produced cheeses and cured meats. Lovely soft bakes, aromatic with herbs and served with a squash puree. Some fantastic ravioli made with a different flour, I think probably chestnut flour, with soft cheese and crumbled amaretti biscuit, they were absolutely delicious. Then a dessert with a oozingly chocolate slice, meringue, biscuit and home made jam. Of all our different stops throughout the week, this was our favourite. There was more. A nearby restaurant delivered one of the best dishes of the week - a simply perfect freshly-made ravioli with cheese and cherry tomatoes - and one of the worst, a plate of leaves, two roasted artichokes and just a huge quantity of pork that I gave up on half-way through. 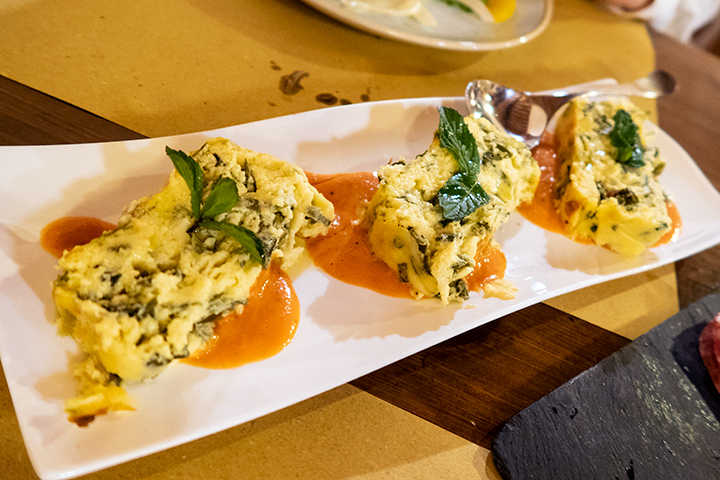 For our final day back in Florence, we went back to the Trattoria Cibreo for a second helping of the fantastic Tuscan food they serve. There was a fine chicken liver pate starter, and some polenta, swimming in a garlicky cheese sauce. 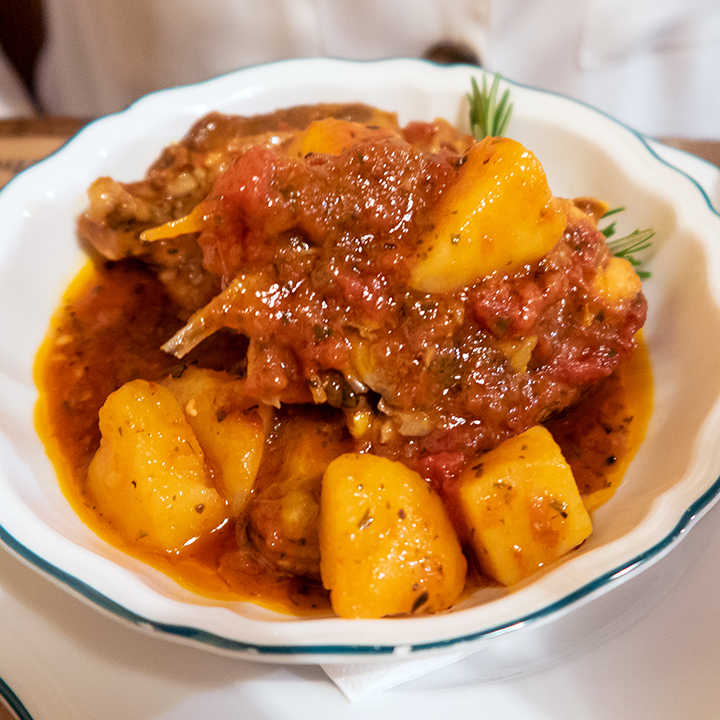 A rooster stew with a rich meaty base scented with rosemary and served with potatoes. The name 'Cibreo' actually derives from a historical Florentine dish based on a rooster that used not only the cockerel's liver, but also its "beans", or more plainly described its testicles. That wasn't the dish served up on this occasion, however. And then lunch before heading off to the airport. Our final outdoors meal probably for the year, involving a wide variety of antipasti followed by a curious baked cheese dish, with tomatoes and capers, olive oil and garlic. It was a tasty final Tuscan treat. This is all well and good - and rather a “what I did on my holidays” type of narrative. For me, the excitement was dipping into a place with a strong sense of what its food culture is. Visit the UK, and you’ll see large numbers of restaurants with different cuisines from across the world. Go to a place where there is a strong local food culture, nearly all the restaurants draw from that tradition (except in the student area, where you will find American burgers). In Tuscany, the olive oils they use are of the place, and they understand how they differ from (and, naturally, are superior to) the olive oils from the neighbouring places. The way the ragu - or rather sugo - is cooked is distinctively different. The markets all sell courgettes with the flowers still attached, because they’re commonly part of the recipes. 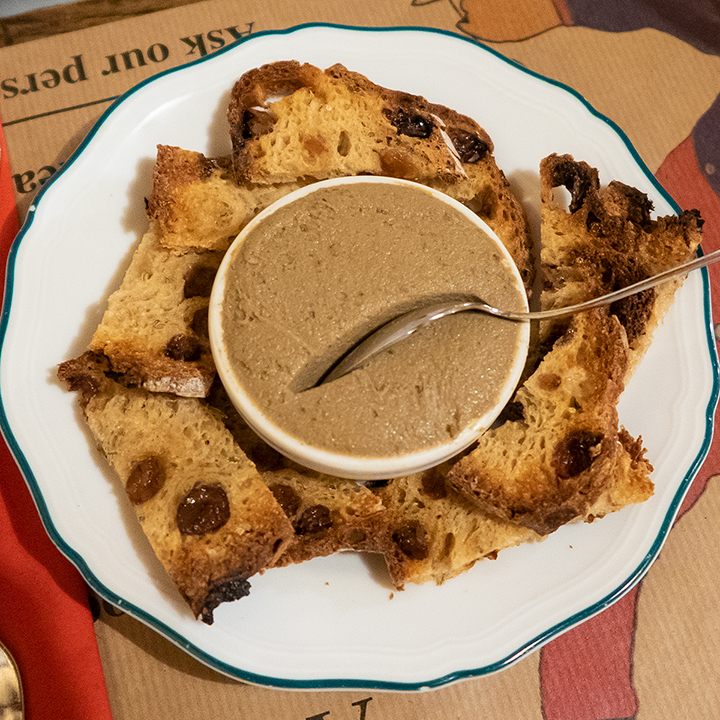 The bread has a great texture but is startling because Tuscan bread is not salted - a fact that only makes sense when eaten with saltier foods and spreads - ie. within the local context. You go to the standard food markets (not even the special ones like the one in Livorno) and the quality of the produce - from the cheeses to the meats to the vegetables - is astonishing. If you don’t understand such food cultures, you can never visualise how they might, and perhaps should, evolve over coming decades as we need to become more sustainable in how we produce and eat food. For me, it could not have been a more pleasurable process to learn just how far I have to go on that journey. Some things perhaps have to change. But there is much precious here that should not be lost in the process. We only really scratched the surface - but it’s something to explore.